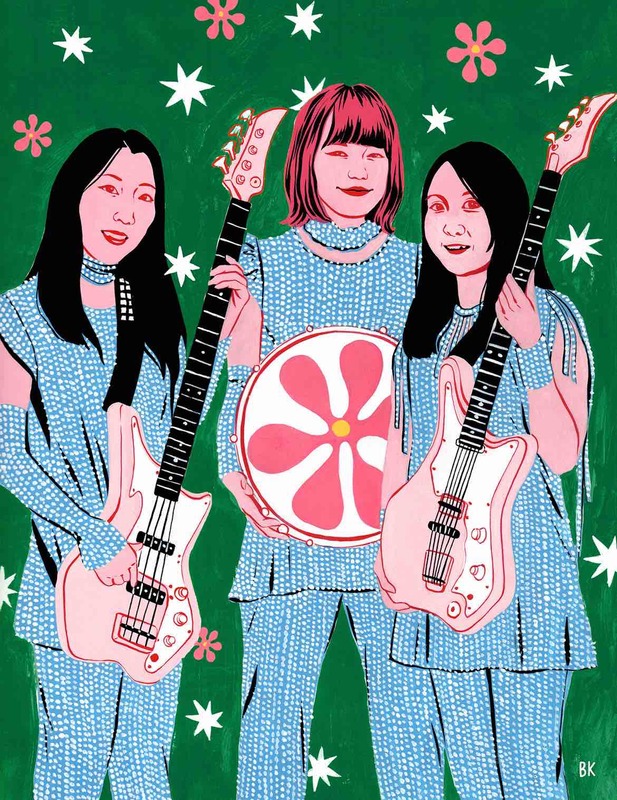 Bijou Karman had the pleasure of illustrating the long-standing Japanese pop punk band, Shonen Knife for Gusher magazine. 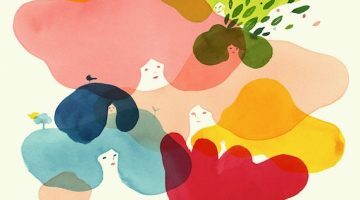 Inspired by 60’s & 70’s bands such as the Beach Boys & The Ramones, Bijou’s done a beautiful job of capturing the trio’s musical influences and overall sound in this groovy yet feminine portrait! 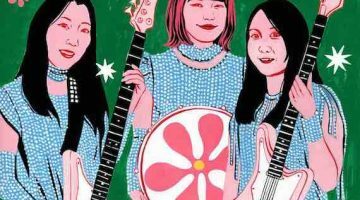 Gusher is an annual independent magazine about rock music, written and created entirely by women & non-binary people and we couldn’t be more pleased to have Bijou’s lush style promoting women at the forefront of rock music!